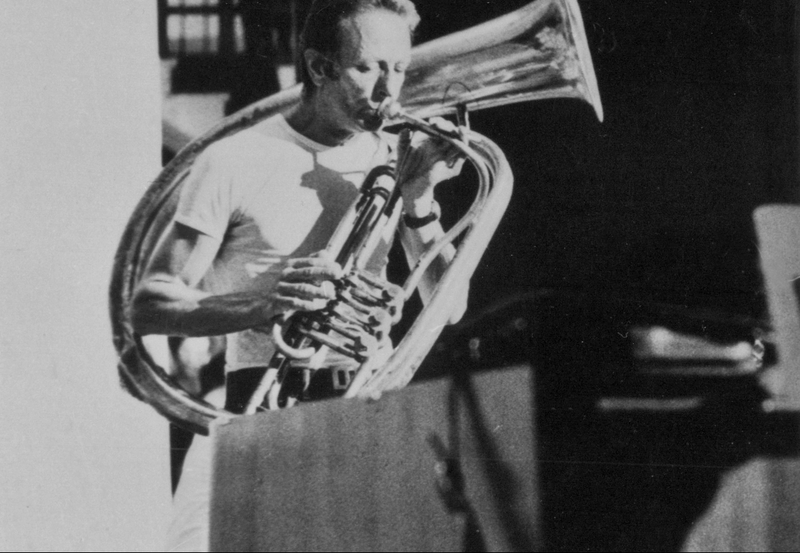 Tiberio Nicola, AKA the “Tibe” (1931-2002) is the icon of Jazz in the town of La Spezia. Passionate connoisseur of jazz music since the early fifties, he played the tuba in the “Original Sprugolean Jazz Band”, a local lineup, with which he performed in the first six editions of the International Jazz Festival of La Spezia (often in the company of such guests as Albert Nicholas, Charlie Beal or Max Kaminsky), and in Bologna, Pescara Toulon Jazz Festivals, as well as in many jazz clubs around Italy. 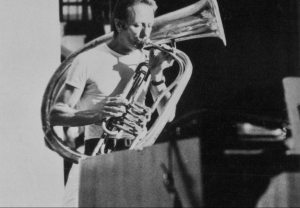 In the late sixties, in July 1969, with the friends of the Original Sprugolean Jazz Band and other jazz-loving artists living in La Spezia, he gave life to the first edition of the International Jazz Festival of La Spezia. Since that first unforgettable and memorable edition, Tiberio never ceased to devote himself with all his generous passion to the Jazz Festival, creating new relationships and friendships with the greatest musicians around the world, including Bill Evans, Charles Mingus, Art Blakey, Horace Silver, George Coleman, and witnessing the growth of other great artists such as Keith Jarrett, Gary Burton, Michel Petrucciani, Franco D’Andrea, Enrico Rava, Massimo Urbani and many others. From 2011 the International Jazz Festival of La Spezia chooses to organize, besides the concerts, workshops for musicians, and establishes the “Tiberio Nicola Award” dedicated to the memory of its founder. The seminar formula and the Tiberio Nicola Award are back with the 50° La Spezia International Jazz Festival. Art. 1 The “Tiberio Nicola Award” is held within the framework of the International Jazz Festival of La Spezia. Art. 2 The Tiberio Nicola Award is reserved to Italian soloists and is open to all musical instruments (including singers). Art. 3 The application for registration is made through the registration to the International Jazz Workshops of La Spezia. Art. 5 Among all the members 4 semi-finalists will be selected who will perform on 27 July 2018 in the International Jazz Festival of La Spezia. Among them the winner will be chosen and will be announced on July 28th, 2018. The selected candidates will be admitted to the final stage of the award by the Organizing Committee and the professors of the International Jazz Seminars. Art. 6 Competitors will be evaluated by the artistic management through listening during lessons and classes of the Workshop. The songs to be prepared will be sent during the first week of June to all members. Art. 7 The selection jury will be formed by the Festival Artistic Director, the Festival professors, and a representative of the Municipality of La Spezia. 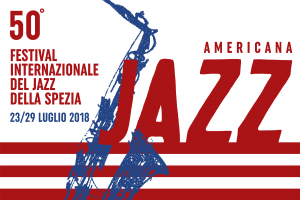 1st place: Journey to New York and performance in the Italian Jazz Days 2018 edition. 2nd place: free entry to the International Jazz Seminars of 2018 and 2019. 3rd place: free entry to the International Jazz Seminars of 2019. Art. 9 Registration for the Tiberio Nicola Award implies full acceptance of the present competition Regulations. The Regulations are published in Italian and English.